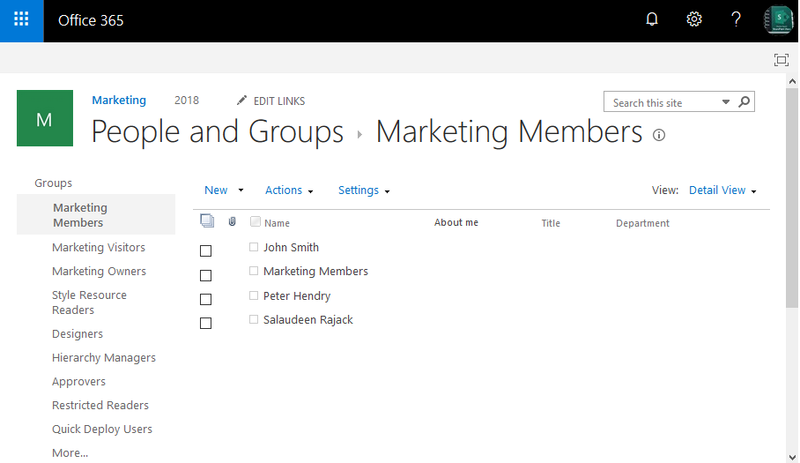 How to Get Group Members in SharePoint Online? Pick the SharePoint Online group you want to get group members. and the group page gets you all users in a particular group. 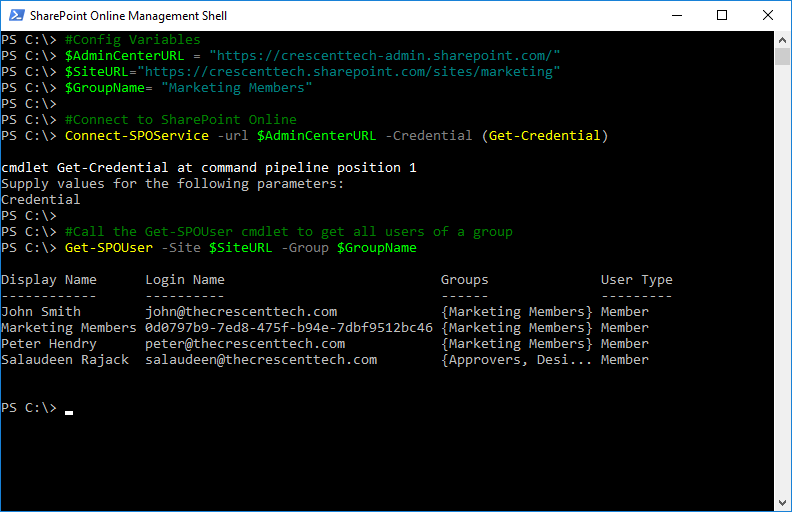 Here is the SharePoint Online PowerShell to get users in a group. This script gets users in group. We can use Get-SPOUser cmdlet to get users in a group. Here is the PowerShell to list members of SharePoint Online group. Get-SPOUser -Site $SiteURL -Group $GroupName | Select DisplayName, LoginName | Export-csv -NoTypeInformation -Path "C:\temp\GroupUsers.csv"